Freebies Loot is sharing all the latest deals and offers which provide you stuff at a great discount or virtually free. 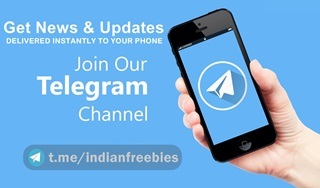 We are sharing offers like Refer and Earn Program, 100% Cashback, Free Mobile Recharge, Rewarding apps, Earn Money, Play and win contests, Free sample and lots of other shopping offers. Never miss an Article posted on Freebies Loot, Subscribe Us. For any question or query Contact Us. Check verification link on your inbox.